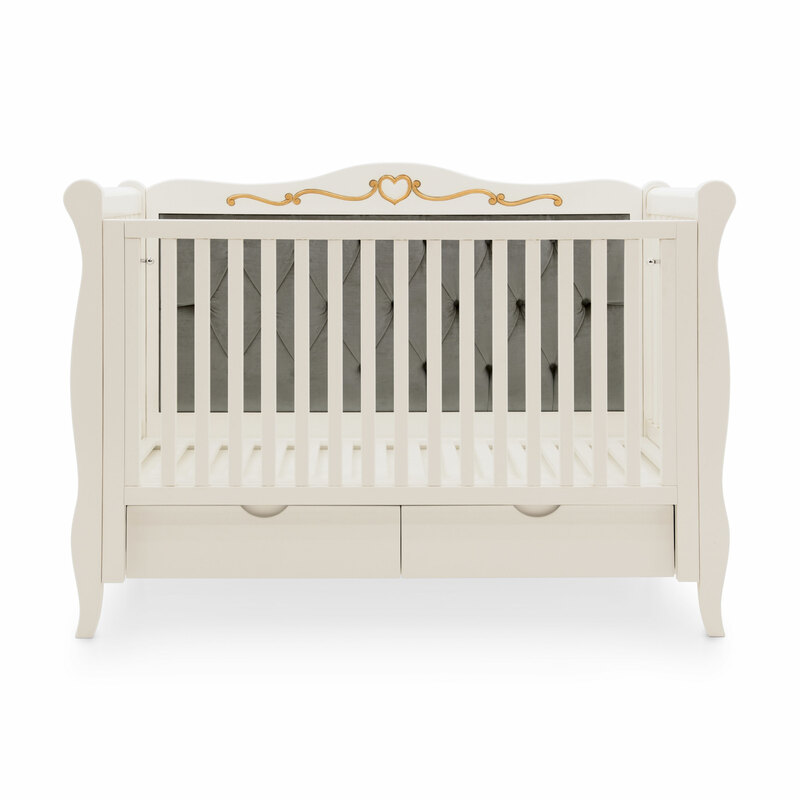 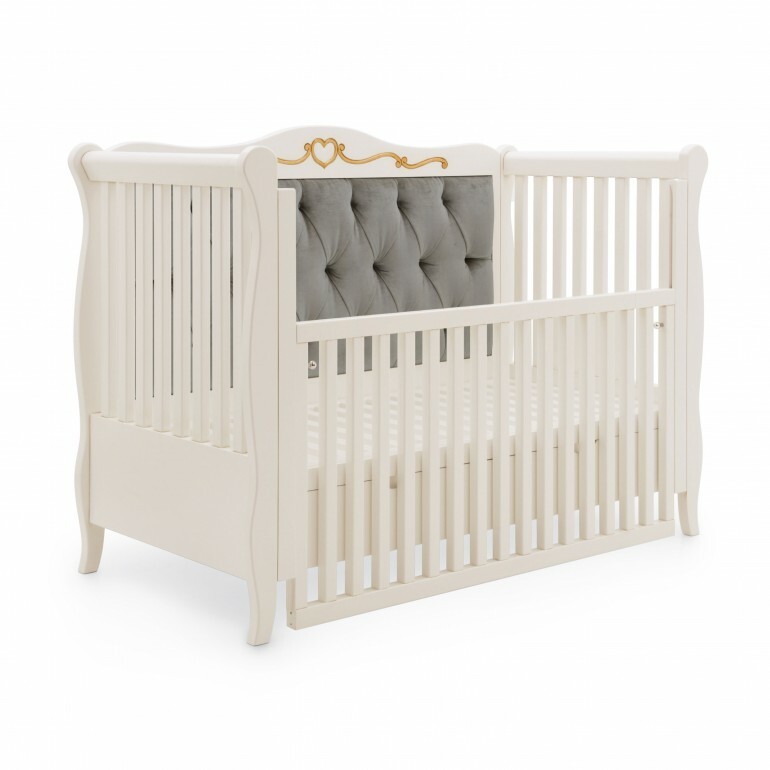 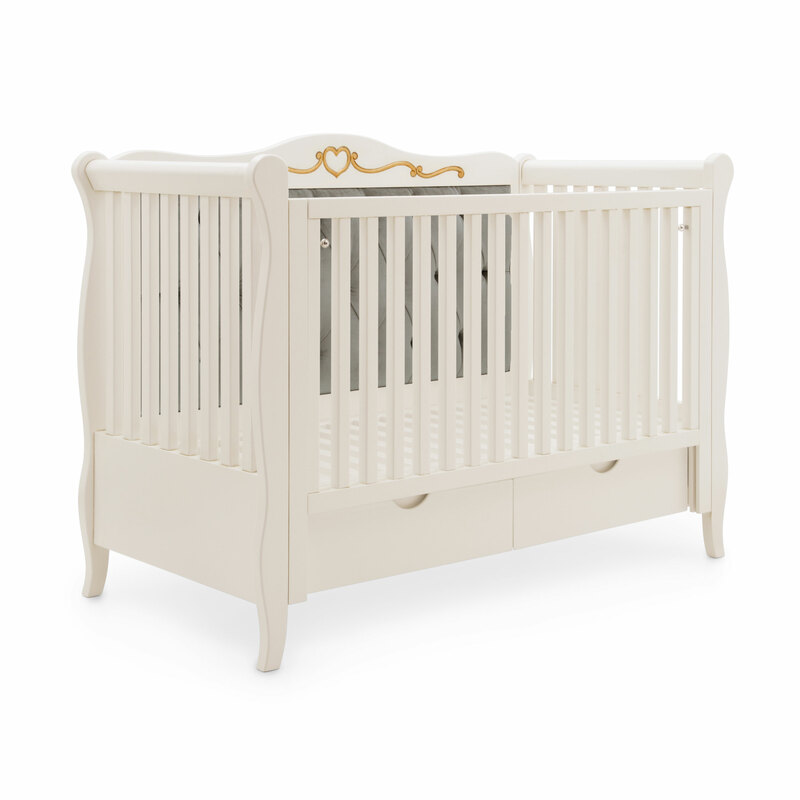 Extremely elegant Classic style baby bed with beech wood structure. This product features one closed side with refined deep-buttoned upholstery, as standard feature, made with superior quality materials. 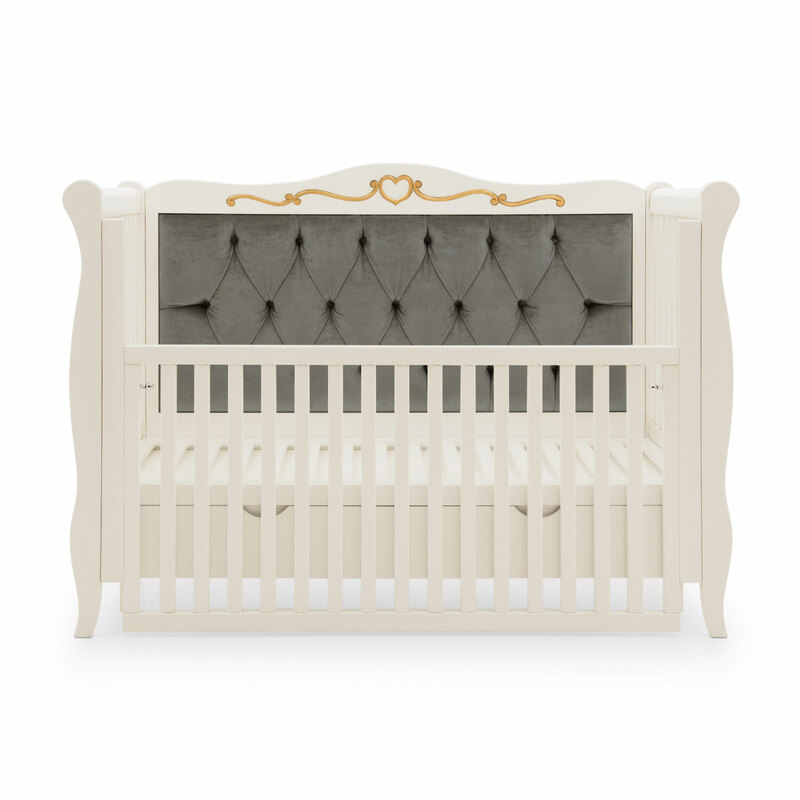 The opposite side is adjustable in height to make access easier. 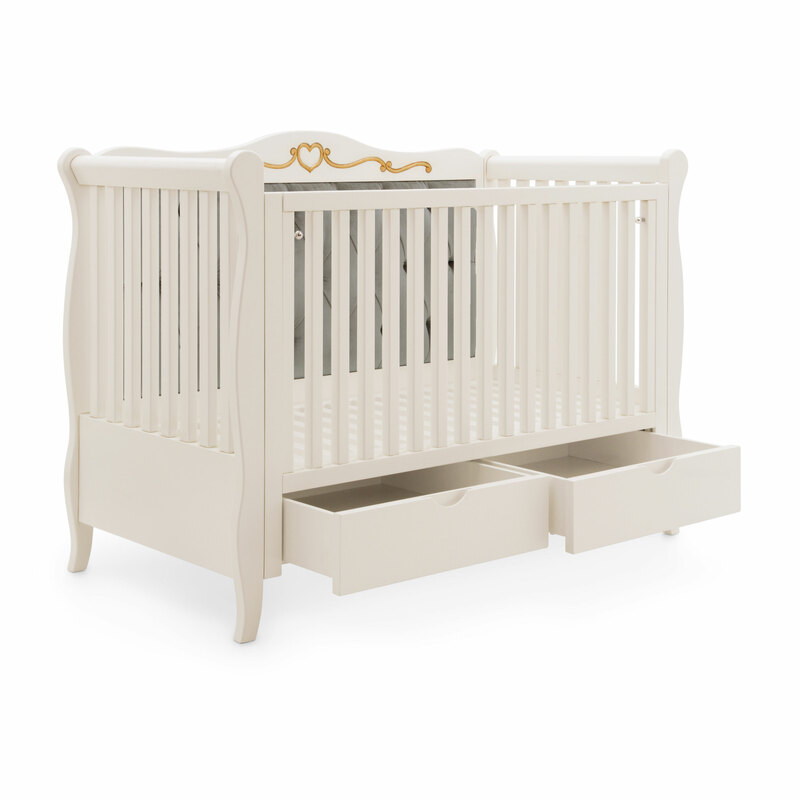 The bottom part features two very useful storage drawers.